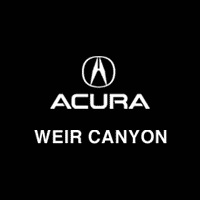 If you’re looking for a new Acura ILX, Acura TLX, or tow-friendly Acura MDX in the Costa Mesa region, you’ll want to rely on Weir Canyon Acura. Here, we have 249 new Acura sedans, SUVs, and supercars in stock. From the popular family-friendly Acura RDX, to the peppy Acura NSX, Weir Canyon Acura has a new Acura for sale for just about any Montclair driver. If you’re looking to make your next new vehicle purchase cheaper, trade in your old vehicle. Or, if you’re looking for other options, explore our certified pre-owned vehicles and lease specials. Why Choose a New Acura from Weir Canyon Acura? We’re standing by to make your next new vehicle purchase easy and stress-free. Simply complete this handy contact us form, and we’ll be in touch with you shortly.